Why we are participating in COTF2018? We are taking part in this event because it’s very important to us to save birds worldwide and in Israel in particular. We are willing to put much effort in order to achieve this goal and stop the illegal hunting of birds. 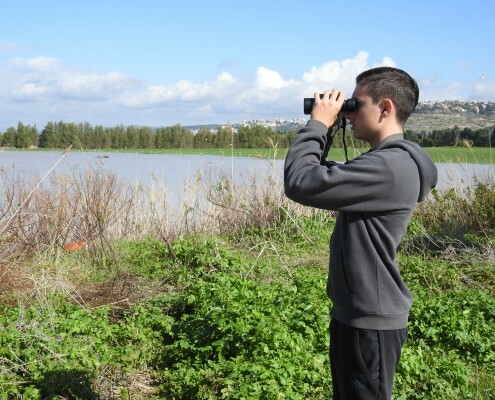 We also think that such a huge birding competition in Israel can give a stage for young birders to prove themselves as equal to older birders. Your donation goes to a very important cause. Even a few dollars can help saving Quails and other birds and halt the illegal hunting on Croatia and Serbia. Every donation, even the smallest one, can help us. Eventually, all the small donations accumulate to one large donation. We truly believe that through education we can make a change and save birds. I’m 15 years old from Haifa. I started birding when I was 7 years old and started ringing 5 years ago and recently got my ringing (banding) permit. I saw a lot of the birds that we have here in Israel and can’t wait to find new species which I haven’t seen yet. I’m looking forward for this competition. I hope we will enjoy it and raise as much money as we can. It will be my second time in the COTF and my first time with the “Tawny Owls” team. I’m 15 years old from Kfar Sava at the center of Israel. I started birdwatching in elementary school 5 years ago after participating in a short workshop about the birds of Israel. The lectures fascinated me and I started birdwatching in the neighborhood. 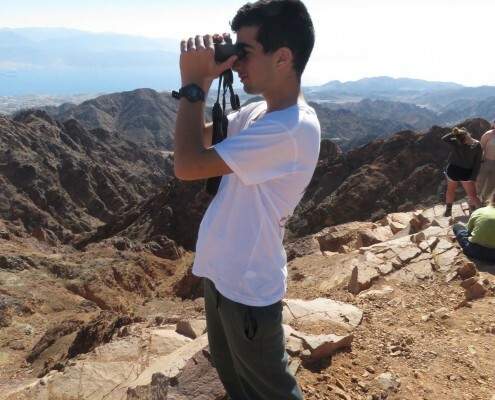 Later on I joined the SPNI youth birding club activities including monthly meetings and trips all around Israel. The last five years have been an ongoing process of enriching my knowledge of birds in Israel and abroad, collecting many interesting and fun experiences and increasing my love for this amazing world in nature. My goals for COTF2018 are: Seeing more than 150 species, a lifer or two, and the most important goal is to raise as much money as we can in order to fight against the illegal hunting of birds in general and Common Quails in particular. I started birding 5 years ago and started ringing 4 years ago. 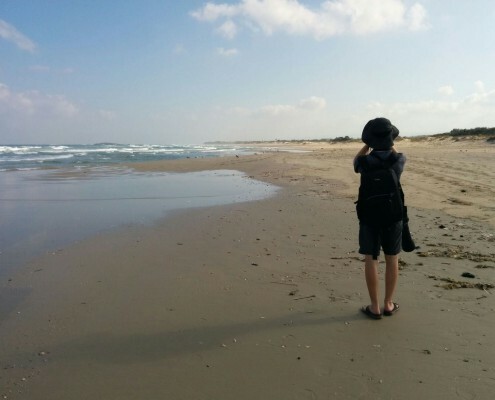 I heard about Amit Goldstein by talking on Facebook with Ohad Sherer (from the Little bustards) who told me that he came to birding at Hai-bar Carmel with Amit and told me that Amit he’s also a birder from Haifa. I was really excited when I heard that there is another birder of my age from Haifa and then I started to talk to Amit and met him. I owe him my love for birds and my first real birding. My love for ringing I owe for Noam Weiss and Shai Agmon but this is another story. My first acquaintance with Amit Sadeh was when I started to join the trips of the birding club with Yael Lenard (when the trips was to Hof carmel and the Carmel) and on this trip we started to argue, but since then our friendship just grown.